0.0417 square foot per piece, each piece sold individually. Piece weight equals 0.21 lbs. 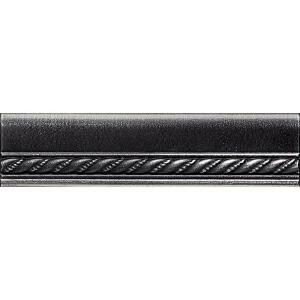 Buy online Daltile Ion Metals Antique Nickel 1-1/2 in. x 6 in. Composite of Metal Ceramic and Polymer Chair Rail Accent Tile IM02156CR1P, leave review and share Your friends.